JUBY is a Shellback Dinghy made at WoodenBoat School and finished at home in North Carolina. 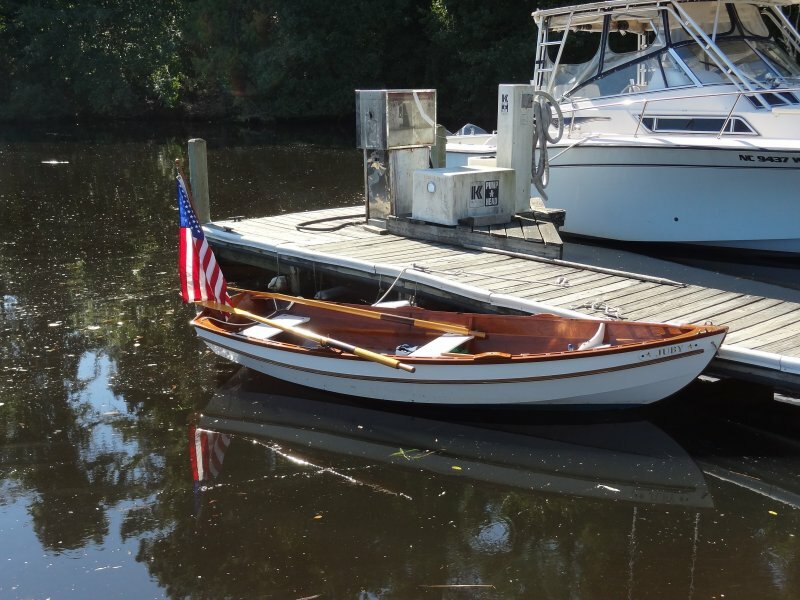 It has won awards at the N.C Wooden Boat Show and the Cape Fear C.C Wooden Boat Shows. The Shellback can be sailed, rowed or sculled. It also makes for an excellent tender.